de keuze van de fan: Angelina Johnson! de keuze van de fan: Fred and George Weasley! Who is hotter Draco of the twins? de keuze van de fan: The twins! Who is hotter James of Oliver? Did George continued with the koop when Fred died?? Mrs. Weasley: "Fred, u next." One twin: "Blimey. Are u ----?" The following is a lijst of some of their greatest moments. Most of these are from the books. However, these first two are from the DH1movie. Enjoy! One twin: How do u know what that tastes like? *sees Moody's glare* Just trying to ease the tension. "Wren!" Two voices boomed from behind me, causing me bite my tongue. "We brought u something!" Most of the time when we see Fred, he's with his twin brother George. The two were inseparable. Whenever we see the two, it's almost inevitable that they're joking around of pulling some sort of prank. But it was never to bully anyone; They were just having a good time, and a good laugh. It seemed that most people liked being around Fred and George, because together they could always make u smile. The twins, Fred and George Weasley, have been at Hogwarts only for 3 months, but they had already got detentions meer than the anybody got the whole seven years at school. Name meaning: Weasley="In Britain and Ireland the wezel has a bad reputation as an unfortunate, even malevolent, animal. However, since childhood I have had a great fondness for the Family Mustelidae; not so much malignant as maligned, in my opinion." (JKR) This genus includes weasels, stoats, polecats, ferrets, mink, wolverines, badgers, skunks, otters, and others. a comment was made to the poll: Fred of George? 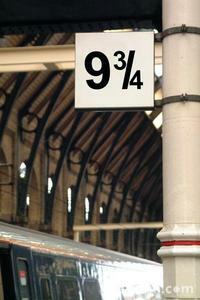 in the 1st hp book, who of the twins passes throught the 9 3/4 platform first?